Lust Bistro & Bakery is a 2015 KLINK Awards winner in the ‘Beyond Expectations’ category. There is nothing like a familiar welcome to create an atmosphere of warmth, a sense of coming home and of good things prepared with love. The Lust Bistro & Bakery enfolds you with that feeling of belonging that fills up your senses with satisfaction. Cradled in the folds of the peaceful Vrede en Lust wine estate in Franschhoek, the Lust Bistro & Bakery entices one’s surroundings with the tantalising aromas of freshly baked artisan bread – imaginative creations of Jean Pierre Smith, patron chef and baker extraordinaire whose lunchtime chalkboard presents a constantly intriguing invitation of discovery. 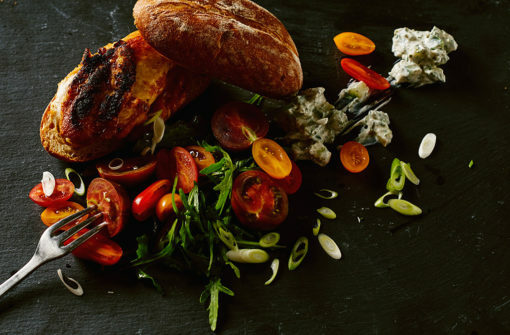 From breakfast to late lunch, there is something for everyone: salads crisp with dew-fresh seasonal garden produce, cakes just out the oven, cheese and charcuterie platters boasting South African specialities, mouthwatering chicken and beef dishes all exquisitely presented. The Lust Bistro & Bakery is definitely an experience you do not want to miss. 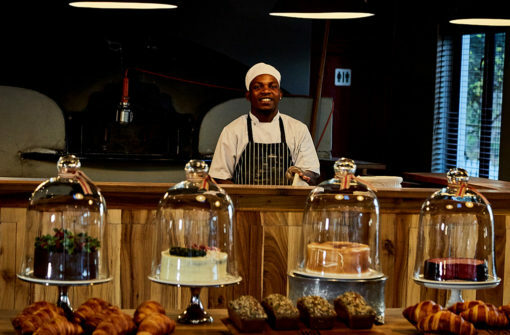 Booking is essential for Lust Bistro’s Sunday Buffet lunch where Jean Pierre takes the hearth oven through its paces with a selection of slow cooked roasts. Free Wi-Fi makes Lust Bistro a great spot to conduct a business meeting, or to spend the afternoon working off site. If it feels like a home away from home, it’s probably because the family kitchen in the original Vrede en Lust manor house inspired the décor. 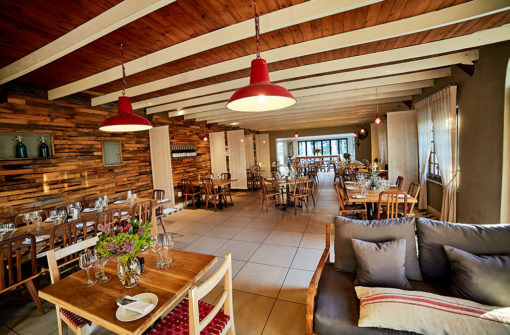 Pop in for an early bird breakfast or a late morning coffee, grab a light snack or linger over a bistro lunch and discover why Lust Bistro has become one of Franschhoek’s favourite places to meet and eat. When you meet chef Jean Pierre Smith, you realize that underneath his soft-spoken manner and quirky smile, there hides a dangerously sharp mind. Patron chef and baker extraordinaire at Lust Bistro and Bakery, Jean Pierre dreams up dishes that embody his ultimate vision for food: simple, fresh and without pretense. When Jean Pierre speaks about his bread, his eyes light up. 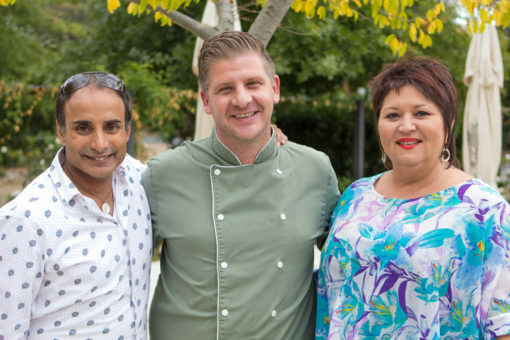 He is an esteemed chef who has had many successes as restaurateur and even a stint as chef to David Copperfield and guests – but when you take away all the fancy food jargon, he is an easy-going but dedicated Afrikaner man who wants nothing more than to feed you fantastic food. His food journey only started after finishing a B. Comm. degree in Industrial Psychology and travelling to the UK and South Korea. 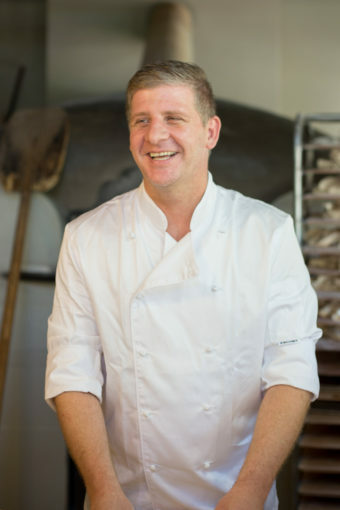 His heart was set on becoming a chef and he enrolled at the Stellenbosch Institute of Culinary Arts. “ I had no set plan … I’m lucky it turned out the way it did”. His artisan sourdough breads takes a minimum of three days to make. From conception to starter dough to firing up the magnificent wood-fired oven, he carefully allows the dough to grow and develop a personality –pedantically focusing on the quality, the authenticity and of course… the taste. There is no space for pretense in Jean Pierre’s kitchen. It is already packed to the brim with exquisite produce, heavenly smells and a lot of heart.